I was excited about this prompt because I really like black and white photos. It is odd how the deletion of color can sometimes communicate a different story or deliver a unique perspective. This is a picture of my favorite subject Bella Bear trying very hard not to fall asleep. 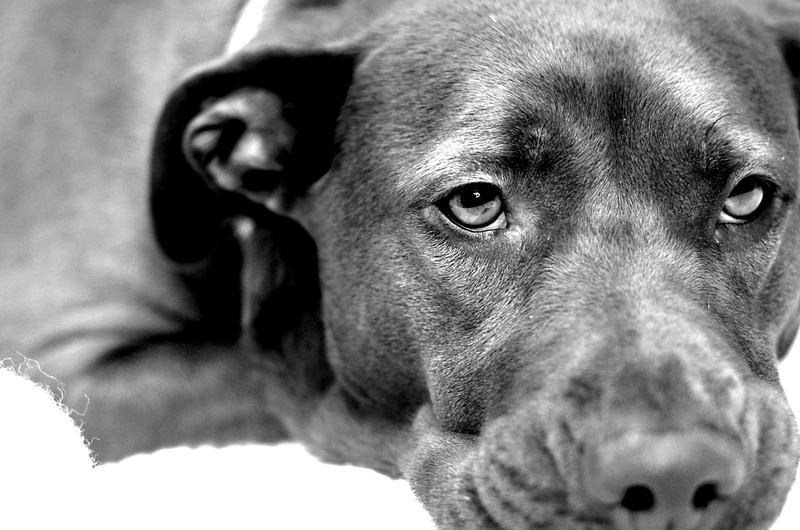 When I converted this picture into black and white it made me think that Bella was very woeful and forlorn. This prompt was from about a week ago and I took the picture in December, but it fit the prompt perfectly. Not a lot makes my heart sing lately, but one thing that does is my dog Bella. I was forced to ship her back to my parents house in Texas after a series of unfortunate events left me looking for an apartment. There are very few apartments that will take large dogs, much less pit breeds. I get a little teary eyed when I look at pictures of Bella because it makes me miss her so much. Don’t get me wrong, I miss my family and friends too, but I can at least talk to them on the phone, Facebook, email, etc. This picture makes me happy because I love how happy and content she looks, and I think it’s adorable that my brother is cradling her like a baby. 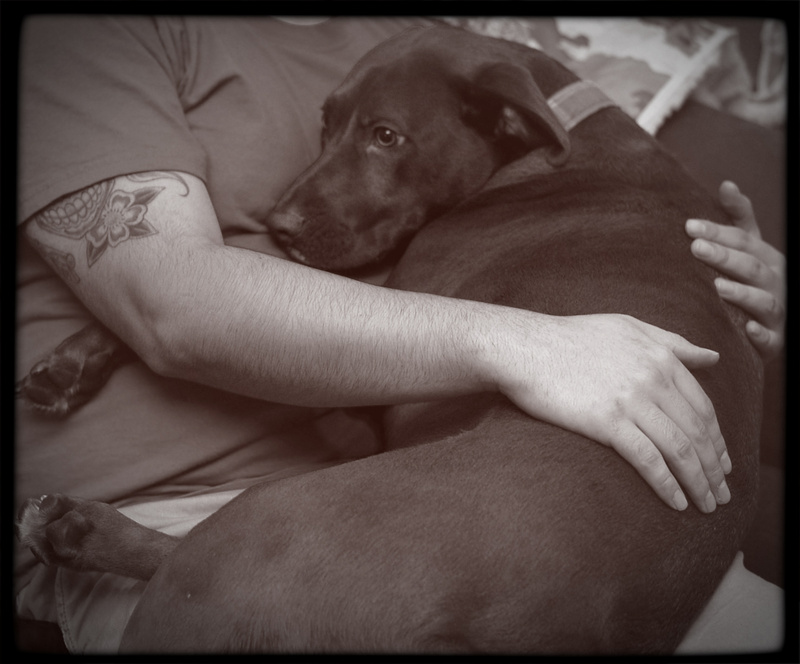 A 65 pound pit-bull/lab baby.